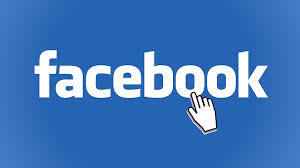 FB stock surged 3.10% to $63.21 in afterhours trading following the impressive release. The social networking leader delivered on earnings, revenue, mobile ad growth, and member user count. No question – it was an impressive quarter. "Facebook's business is strong and growing, and this quarter was a great start to 2014," Founder and Chief Executive Officer Mark Zuckerberg said in a statement. "We've made some long term bets on the future while staying focused on executing and improving our core products and business. We're in great position to continue making progress towards our mission." Zuckerberg was referring to a string of recent questionable and expensive acquisitions Facebook has made over the last several months. But, Zuckerberg believes the purchases, and the company's strategic moves, are transformative and will indeed be an important part of the company's growth going forward. Q1 profit came in at $642 million, or $0.25 a share, compared with a profit of $219 million, or $0.09 per share, in the same quarter a year ago. Adjusted profit was $0.34 per share, $0.10 better than expectations. Revenue was $2.50 billion, handily ahead of the $2.36 billion analysts were looking for and a 72% increase compared with the $1.46 billion booked in Q1 of 2013. Revenue from advertising was $2.27 billion, an 82% increase year over year. Mobile ads, a key number, now accounts for 59% of revenue, up 30% from Q1 of 2013 and better than the 56% industry experts had projected. Monthly active users count was 1.28 billion, while the daily active user tally was 820 million. Chief Financial Officer David Ebersman announced he is stepping down to return to his roots in the healthcare industry. He will be replaced by David Wehner, current vice president for corporate finance. "This has been a tough decision because Facebook is such a great company and has such a bright future ahead, but I've decided to move back into healthcare where I spent my career before Facebook. It's been a privilege working at Facebook and being part of such a great team. We have an incredibly talented finance organization, and I have complete confidence in David Wehner and his ability to lead the team going forward," Ebersman said in a statement. Additional details will be revealed in the 5 p.m. EDT conference call.